As my second year blogging rolls ever closer, I’ve begun to feel more and more like my fellow bloggers are not just words on the other side of a screen, but good friends. So when I sat down to make my Christmas Card list this year, it felt a little odd to not be sending one to those of you who have continuously inspired and supported me through this journey! I love the way blogging brings together people of different beliefs, backgrounds, and traditions. Whether you’re in the United States, or across the world – whether you’re celebrating Christmas, Kwanzaa, Hannukah, or one of the other wonderful winter holidays – one thing we all have in common is that this time of year is the time when we all get together with loved ones to show them how much we care. And today I think that we have a wonderful opportunity to share with each other, and learn from each other in the process. 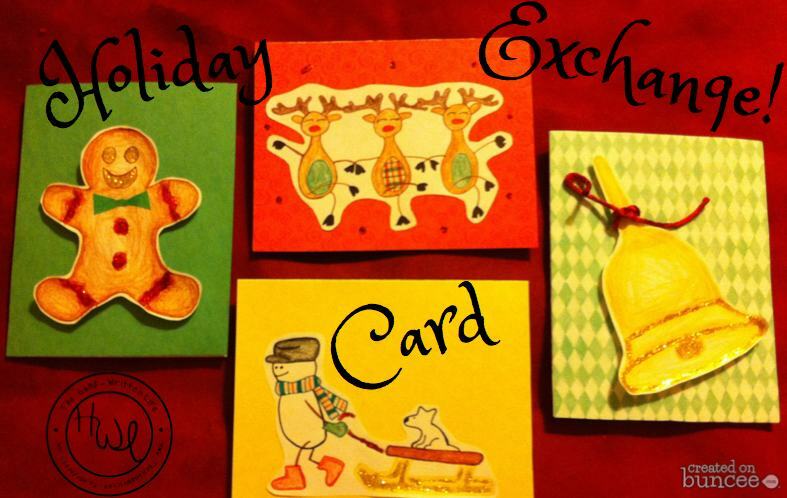 That’s why this year I’m excited to announce that The Hand-Written Life will be hosting a Holiday Card Exchange! 4. Cards may feature any winter holiday. They can be store-bought or hand-made. Bonus points if they represent something unique to you/your location, or a holiday tradition that is particularly special or important to you and yours. 5. Cards must have a personal note written inside (something beyond “Happy Holidays” and a signature). 6. If you are assigned a penpal, you must send them a card. If no card is received, you will potentially be prevented from entering any further exchanges in the future. If you have any problems, or if something comes up and you are unable to fulfill your card duties, e-mail me as soon as possible and we’ll get things worked out. 7. When you receive your card, it would be AWESOME if you could do one of the following (but this is not required): 1. Write a post about it on your blog – including a picture of it, a link to this page & a thank you to the person who sent it to you, with a link to their blog. 2. If you don’t have your own blog/website, you may send a picture of your card to me at aktheauthor@gmail.com, along with the name of the person who sent your card, and a link to their blog (if they have one!). Note: I would love to make this easily accessible to all my readers new and old – therefore you do not have to be an “established” reader of the blog to join the fun, but if you are a new addition, please introduce yourself by joining the discussion and commenting on some posts so we can get to know you! If you have any questions about the process or the rules, please contact me before entering, and we’ll do our best to get everything figured out. Ready, Freddy? Let’s do this!! Click Here to fill out the entry form and join the Holiday Card Exchange! Thank you! I am really hoping everyone enjoys it! I think they will ~ I sent you a note via contact me, but please do not publish. Thanks.